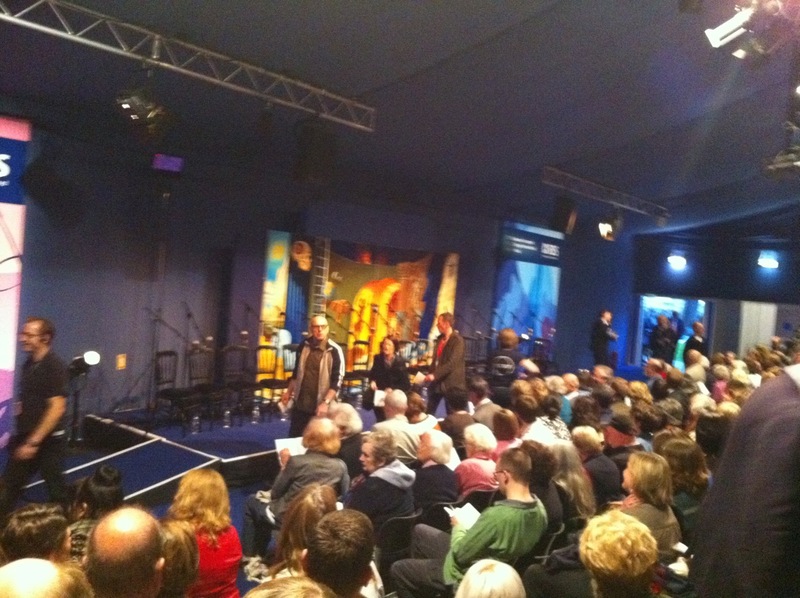 The final full day of EdBookFest 2011 was one for ice-cream, book buying and the final day of Story Shop. 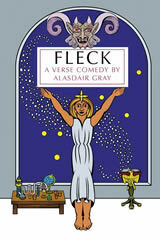 It was also the day for Fleck, as Alasdair Gray returned to close the world’s biggest Book Festival, with a star-studded reading of his comic play, Fleck. Fleck was one of the hot Festival tickets, and a unique literary occasion – 18 authors and actors read the Faust-inspired play, with Alasdair taking the part of Satan himself, and Will Self playing our hero, Fleck. National Poet Liz Lochhead narrated, A L Kennedy was Fleck’s unlikely spouse and Ian Rankin got about four lines as a lawyer. Janice Galloway was the Spirit of the Earth, Zoe Strachan got one of the biggest laughs and Alan Bissett came very close, as a Glasgow drug dealer, to stealing the thunder from the legendary Alasdair Gray. After Aonghas MacNeacail as God accidentally stole Satan’s closing lines, Alasdair indignantly declaimed his (scripted) curses in a highly pitched falsetto – an unforgettable end the Book Festival programme. Each night the Military Tattoo ends with a huge fireworks display over Edinburgh Castle, and it really did feel like it was all just for the Book Festival, to celebrate the 17 fantastic days of fun we all had. The Book Festival staff are endlessly cheerful, efficient and unfailingly dedicated to the love of books. They are the reason that this Festival happens, and is regarded so highly around the globe, and they are the reason that it will continue to grow. Guys, it has been an absolute pleasure working with you over the last seven summers. Thank you. The end of EdBookFest 2011 meant truly special footwear: these boots are a fabric explosion, a riot of red and flowers and bows. They caused many ooohs and aaahs in Charlotte Square, not least because they make me about a foot taller. These shoes have soul. In fact, even the soles are decorated; they have little cherubs on them.